People flock to Fowey in mid August for the week of the Fowey Royal Regatta. We’re not really into sailing but as one of the UK’s best known sailing events it was time to visit and find out more.We were unsure how well it would be tailored for all to enjoy, but we weren’t disappointed. I loved the atmosphere of everyone in the town during the day. It was busy and lively with lots going on. From people braiding hair in the street, to the boat races on the water, there really was something for everyone to do and enjoy. You can buy a program online beforehand (£3) to see what was on each day and decide when to visit. I chose the carnival day, which showcased circus skills throughout the day. And we got to go on the RNLI lifeboat too, which was also really good fun. The carnival didn’t start till 7.15pm so it was a late finish for my children, but it didn’t spoil our enjoyment of the event. I didn’t realise that Ready Money Cove, the beach just south of Fowey, had a little castle ruin (St Catherine’s Castle). The kids enjoyed climbing up the rather challenging walk through the woodlands and the view at the top was amazing! From the top you can also spot the house of a well known comedian - can you guess who?! The castle is very small but access is free of charge and it was a lovely ‘find’.and an amazing view. 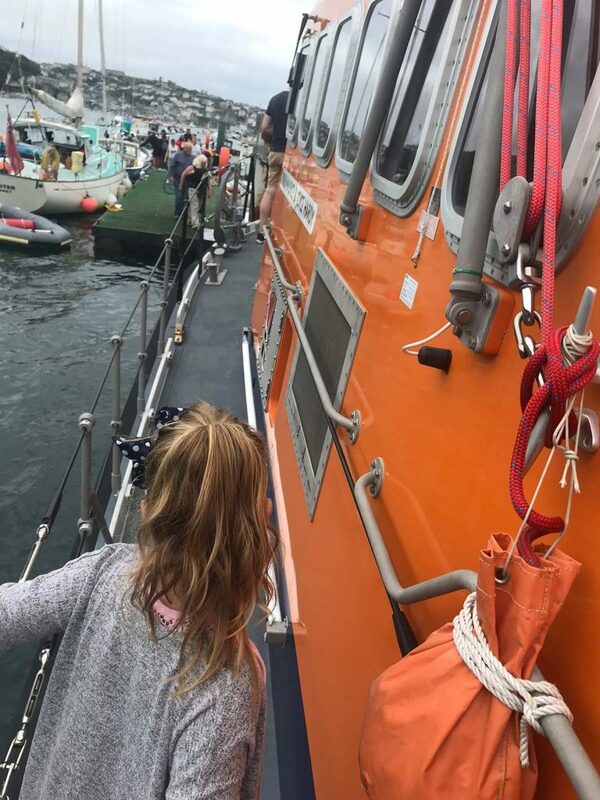 Fowey has everything to entertain all ages and Fowey Royal Regatta brings it all to life. The buzz and atmosphere is amazing when the boats are racing. There were lots of things going on in the town during regatta week and the short walk to Ready Money Cove provides a break from the hubbub of the event. Regatta week is very busy so parking can take some time to find a space – give yourself plenty of time. There were plenty of food options with lots of street stalls as well as the town’s pubs, cafes and restaurants. •We arrived at 10am and left just after 8:30 so a very full day with lots to do. 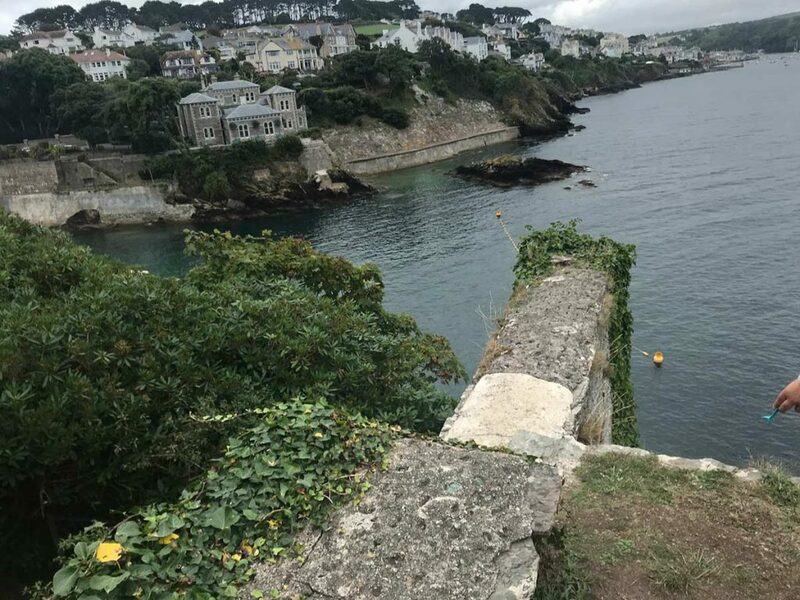 •Explore the whole of Fowey – they even do tours (walking and driving). •Pay to park via the app Just Park so if you are busy exploring, you can easily put an extra hour on the car. 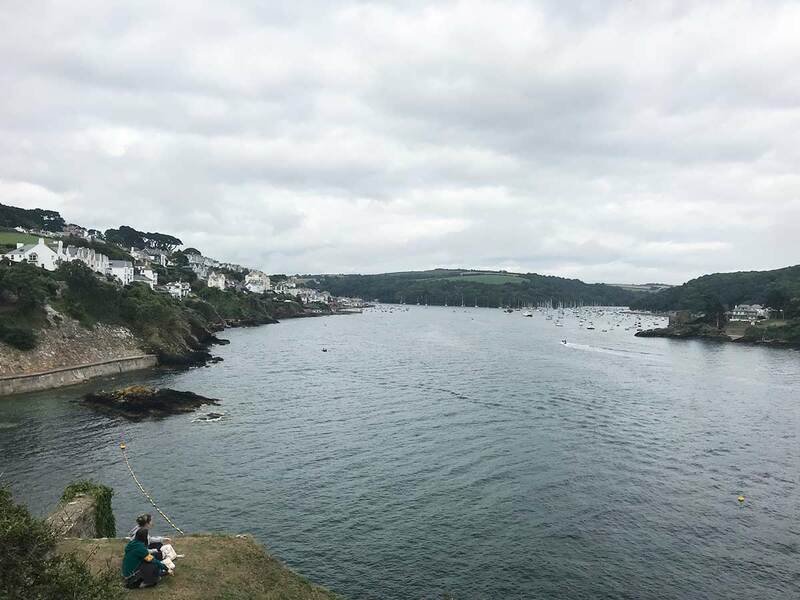 •If close to Fowey on holiday then attend lots of days in the Regatta Week to really get the best experience. About the author: Emma is our holiday home advisor.